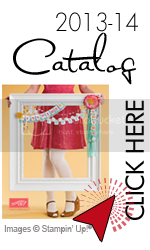 The Pocket Silhouettes stamp set is the perfect size for a lot of cards. The four floral images stand by themselves and don't need much to enhance their stunning simplicity. 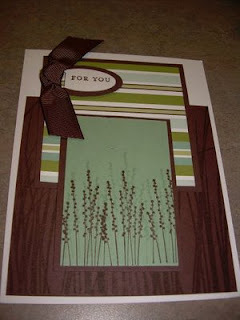 A piece of designer series paper and coordinating ribbon makes a stunning card simple to make. The set of six stamps is a great buy for 18.95.